(CNA/EWTN News) The Easter Triduum is the most important time of year for Christians, Pope Francis said Wednesday, and stressed that those who truly allow themselves to be transformed by Jesus’ resurrection, while still being sinners, cannot be corrupt. 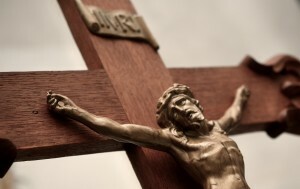 The justification Jesus offered by dying on the cross “saves us from corruption,” he said. Francis said it is “sad and painful” to see “fake Christians” who claim to be walking according to the path given by Jesus after his resurrection, but in reality, are living a corrupt life. This is why there are always people who are baptized during the Easter vigil, Francis explained, noting that during this week’s vigil in St. Peter’s Basilica, he will baptize eight people “who will begin their Christian life” in the Church.